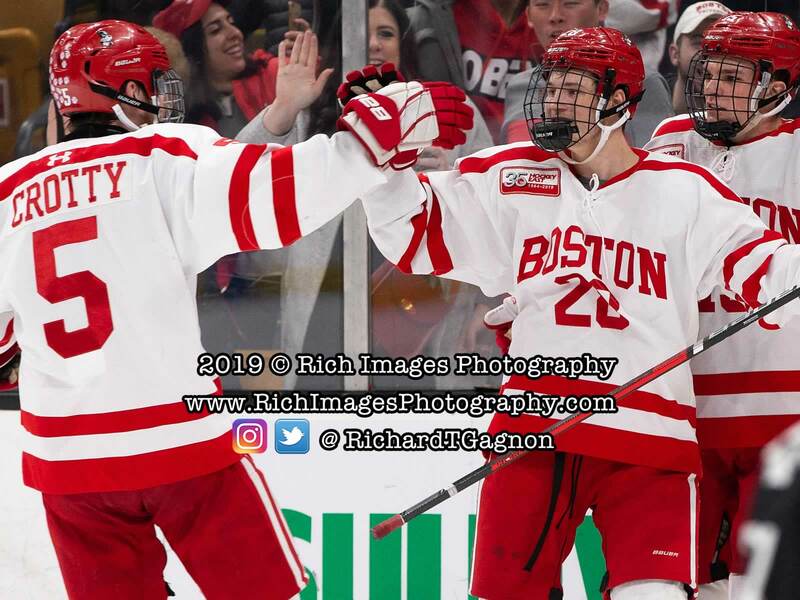 BOSTON - Tyler Madden's breakaway goal occurring 51 seconds into overtime kept the No. 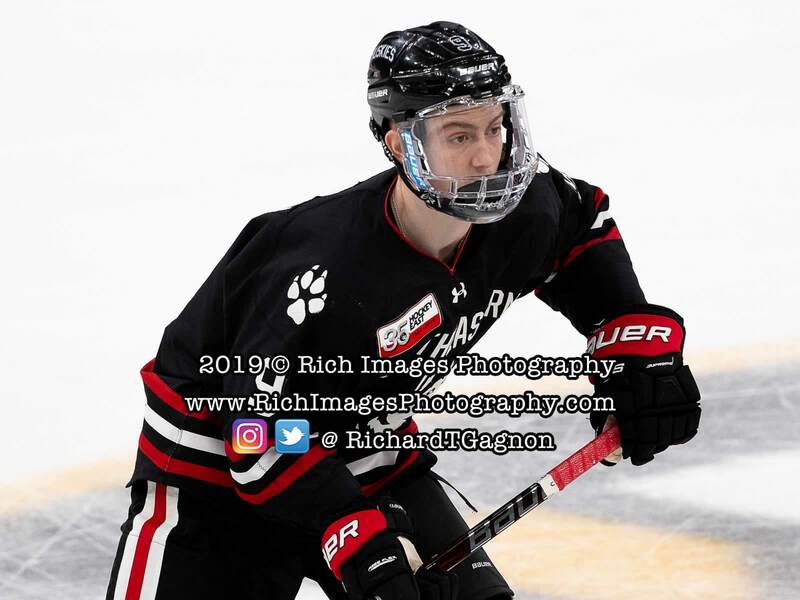 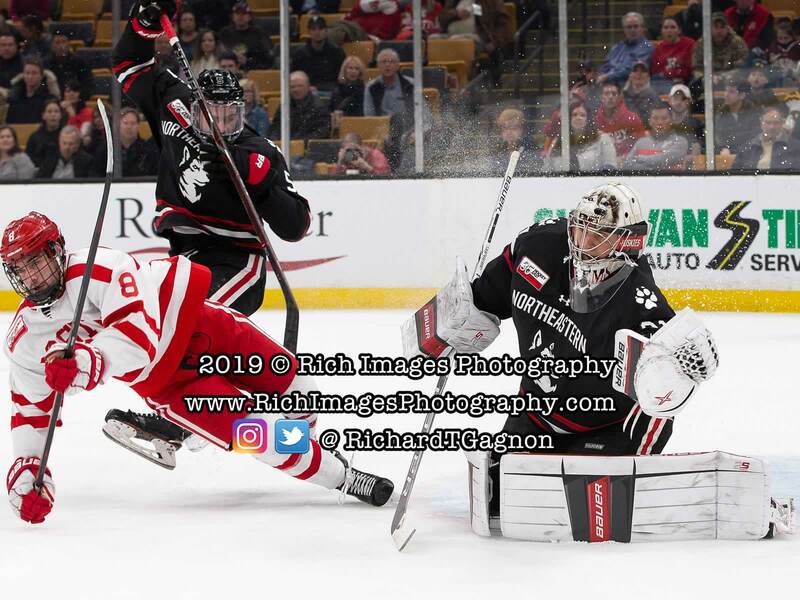 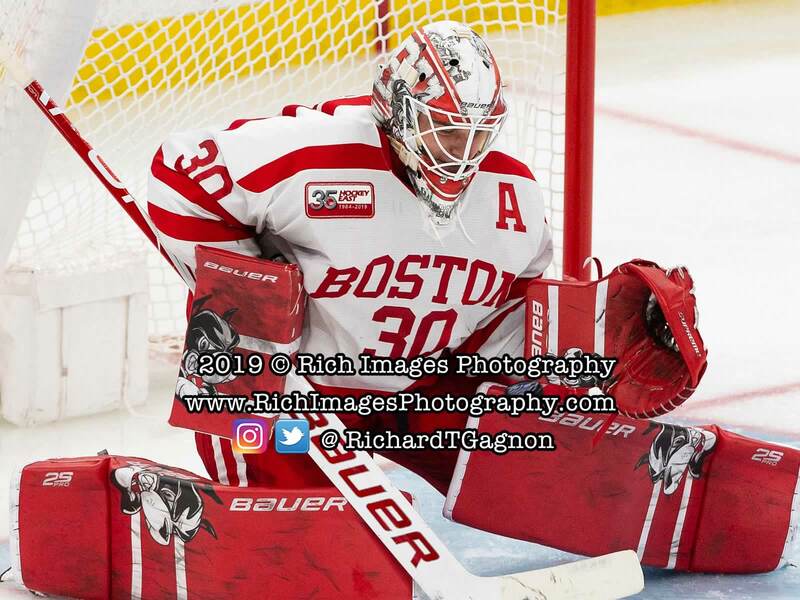 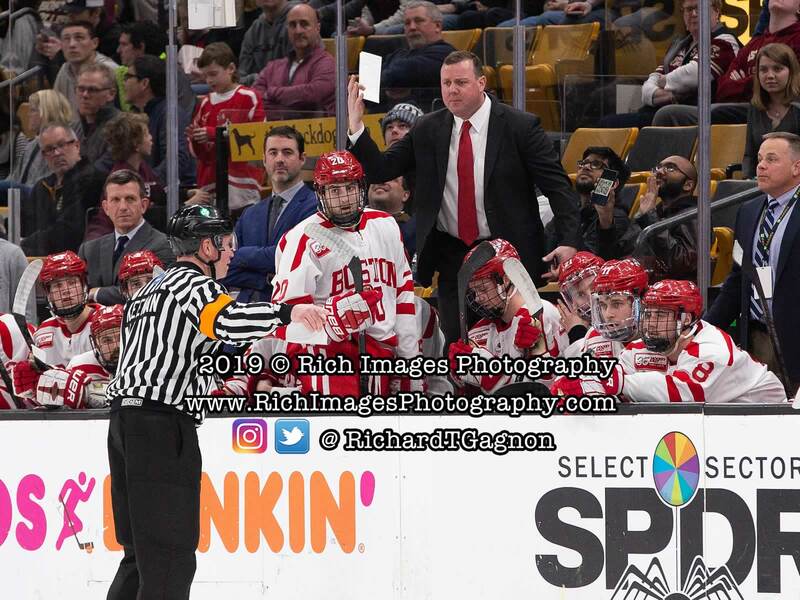 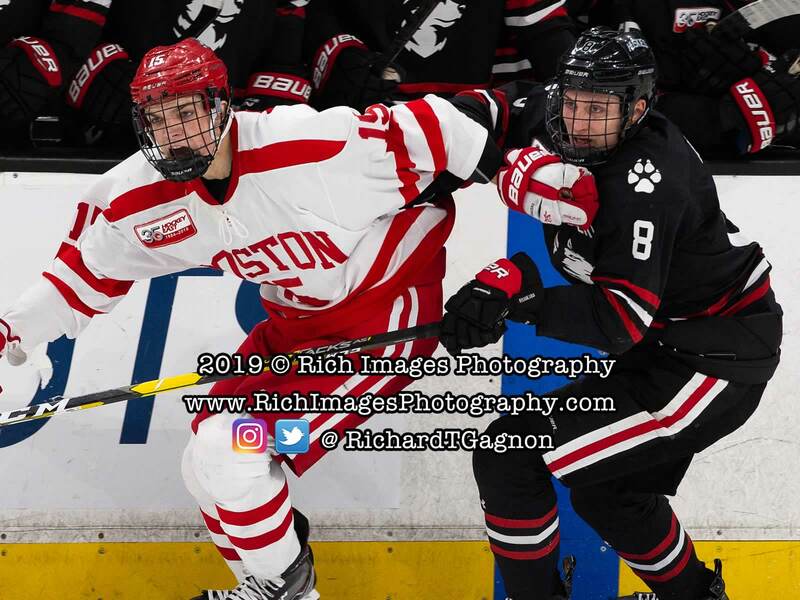 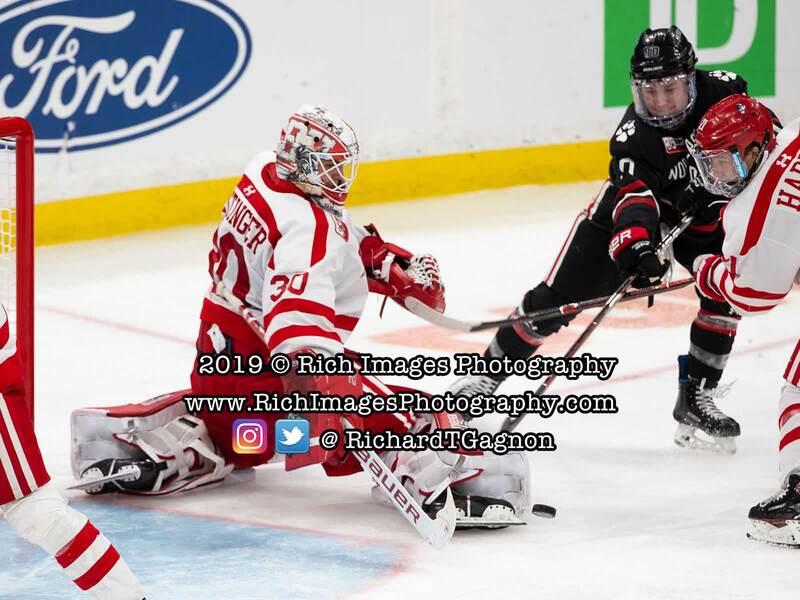 13/13 Northeastern men's hockey team's Beanpot championship defense alive as the Huskies edged Boston University, 2-1, during Monday's second semifinal game at TD Garden. 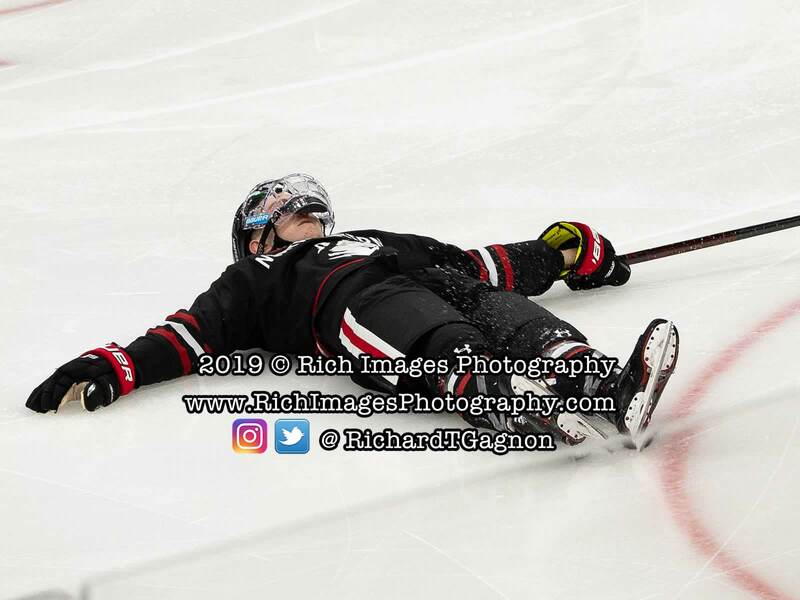 With its fourth straight Beanpot victory in stow, Northeastern (16-8-1) is now headed to its second consecutive title game and its fifth during the last seven tournaments. 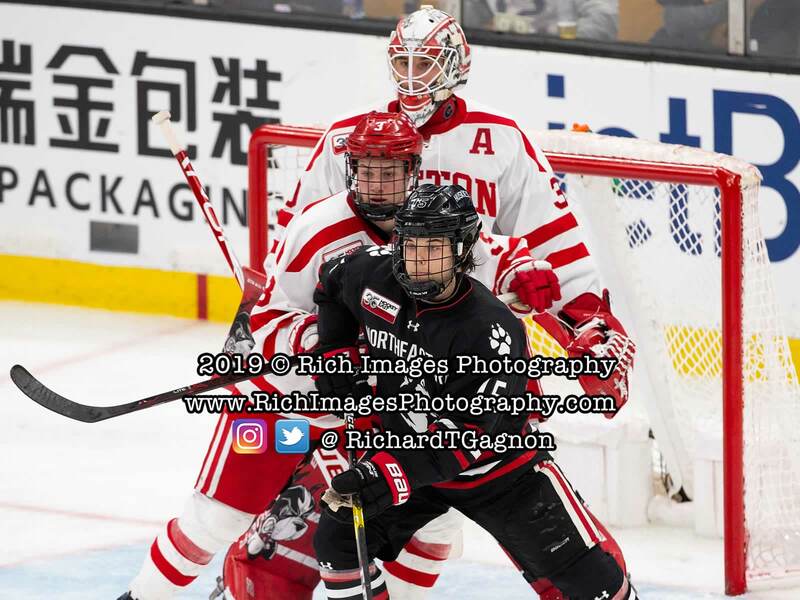 The Huskies will oppose Boston College - which defeated Harvard, 2-1, during the opening semifinal game - on Monday, Feb. 11, at 7:30 p.m.
Northeastern racked up a season high, 49 shots on goal, while sophomore netminder Cayden Primeau stifled all but one of the 27 shots he faced from Boston University (10-12-3). 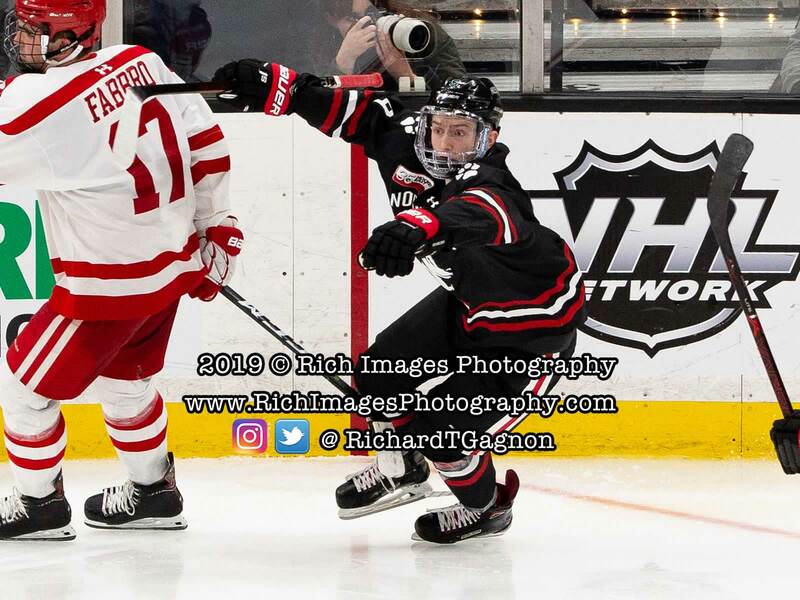 Primeau - the tournament's 2018 Eberly Award winner - made a pair of breakaway stops on Joel Farabee late in the second period, preserving the game's 1-1 tie at the time. 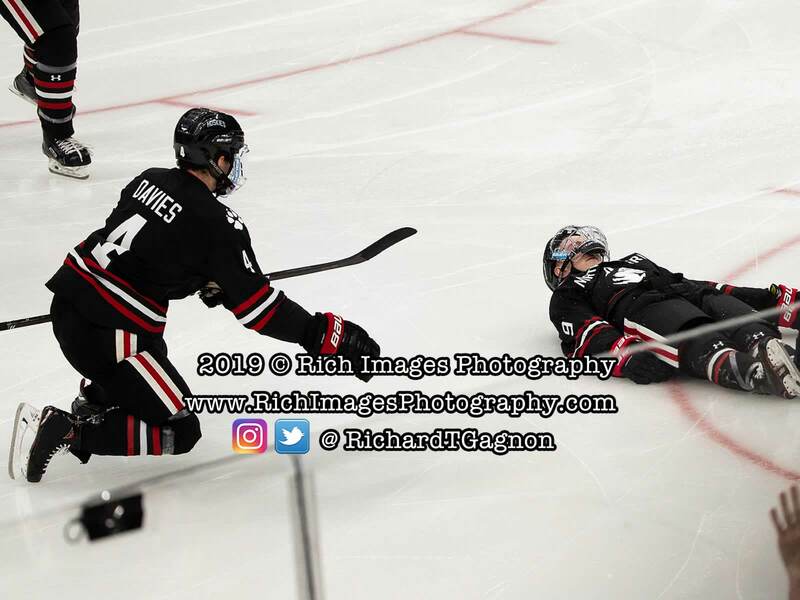 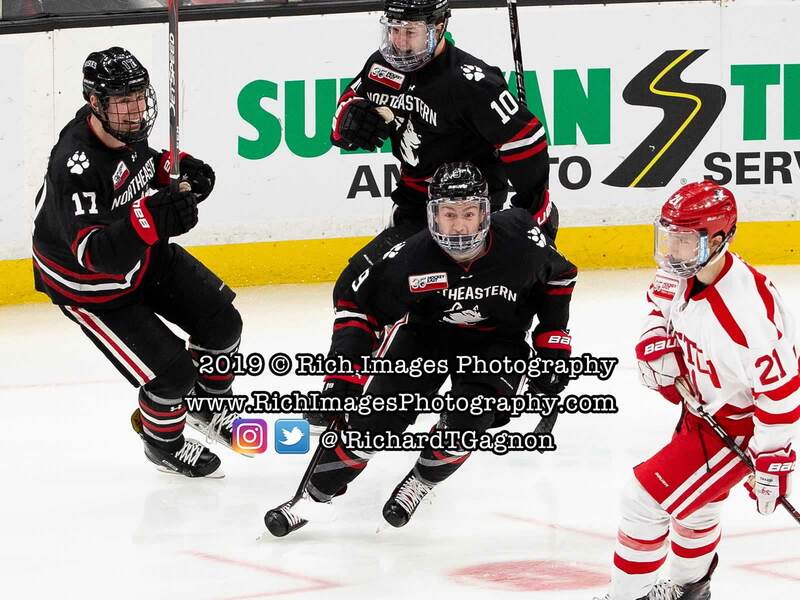 - Northeastern improved to 2-5-0 all-time during Beanpot overtime games against Boston University. 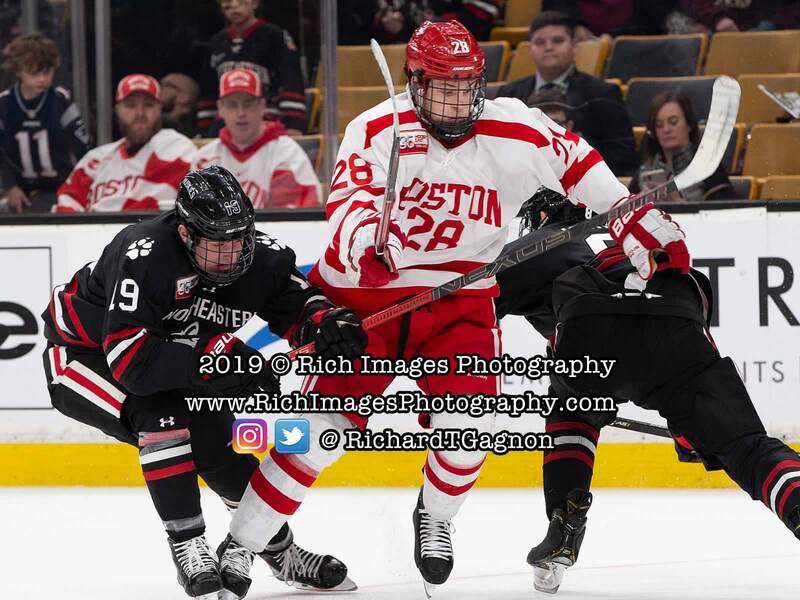 The Huskies' last such win took place during the 1980 semifinals en route to Northeastern's first-ever Beanpot championship. 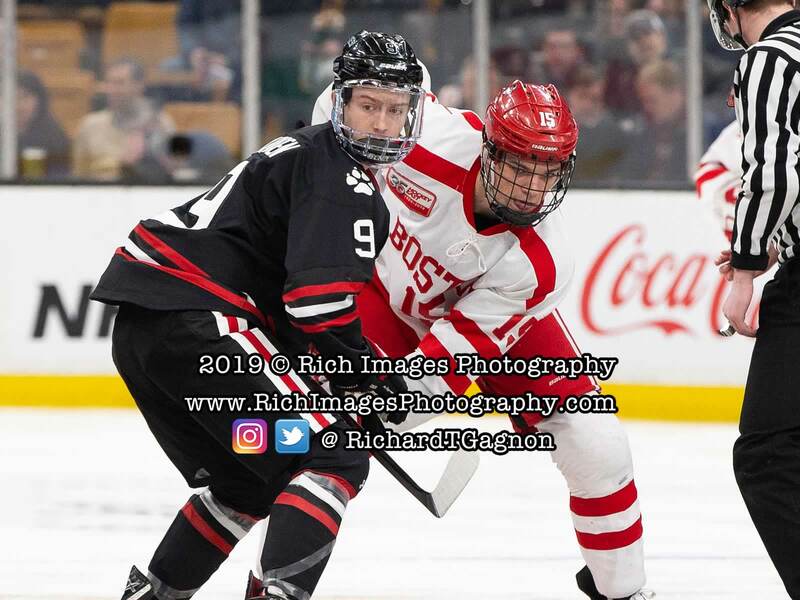 - Both Beanpot semifinal games on Monday resulted in 2-1 score lines for the second time during tournament history (2005).